Last week Dad sent me this gem of a picture. I reckon it's perfect. 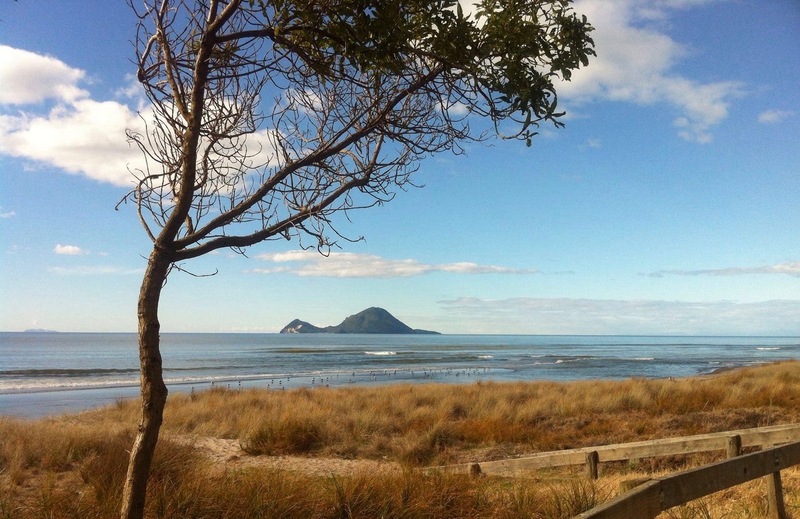 It captures the beauty and serenity of a winters day in the Bay of Plenty. Whale Island in the centre and I'm sure that's White Island further to the left. Looking at this I can almost taste the 12 degree sunny day on a calm morning in August, New Zealand. The best running conditions one could ever hope for don't you think? I on the other hand woke to a 5am alarm call hoping that would ensure an outside temperature of no more than 26 degrees to start my long run. My wife had agreed to bike with me. I needed all the support I could get given the humidity was predicted to be well above 60 and the temperature was to reach 34. I had a long run of 30k to finish ... thank you very much Coach Scott Brown, and I wasn't about to dissappoint him. At 7k I stopped for a breather and drink, an ice pack for my neck, massage, a snickers bar, salt tablet, a towel down and of course a few words of encouragement. Everything a pro should expect only I wasn't. Of concern was how much I needed this and so early on. 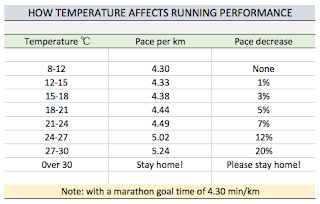 As I struggled to complete the day I made a mental note to check online the impact heat has on running performance. This is just a little of what I found out. 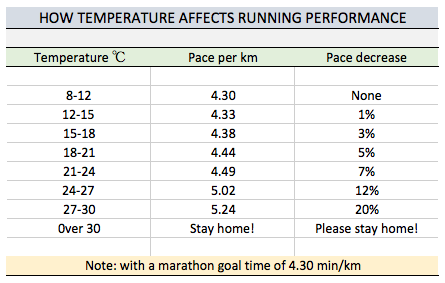 It seems heat and humidity hugely affect performance. Body temperature rises the hotter it gets. When this happens we of course sweat. No one more than I. Sweating or 'glowing' as my grandmother would say cools us down. However when it's humid, sweat or 'glow' can't evaporate into a saturated atmosphere and so it remains on the body. This in turn contributes to an ever increasing body temperature and heart rate. Our body's response when this happens is to divert blood and oxygen from muscles to blood vessels and capillaries in our skin for cooling. This is what causes our body to slow down and pace to fall away despite the increased effort we are putting in. Haven't the Olympics been fantastic! Tokyo's turn in just 4 years. No pressure but I'm sure they'll be the best yet. You need to get your wife to hand you a fresh shirt and cap every 5k, like Rupp! Yes, some great moments. Hamblin and D'Agostino will be a lasting memory - happy I was watching that live. Another I'll remember is Chloe Esposito for the look on her face: https://youtu.be/N6_U_njboF8 I'd love to be there in Tokyo - it'll be a fantastic games for sure. Unbelievable! I watched the shoot/run finish to that womens modern pentathlon out of curiosity. I loved it. Cruel though. I so wanted the Polish girl (Octavia Nobakka) to win. She was way way out in front to begin but cracked at the final pistol line. I think Chloe hit 5/5 and stormed into the lead from about 5th after that. Dodgy Australian indeed I thought. Her celebration at the end was priceless while my girl finished a credible 3rd. Yeah, I remember that. Felt a little sorry for your girl, having been in the lead for so long, but happy she got a medal. They say 4th is the worst place in the Olympics but it's better than 5th if someone ahead eventually gets knocked out for doping! I felt sorry for Melissa Bishop who ran a NR and placed 4th in the 800.